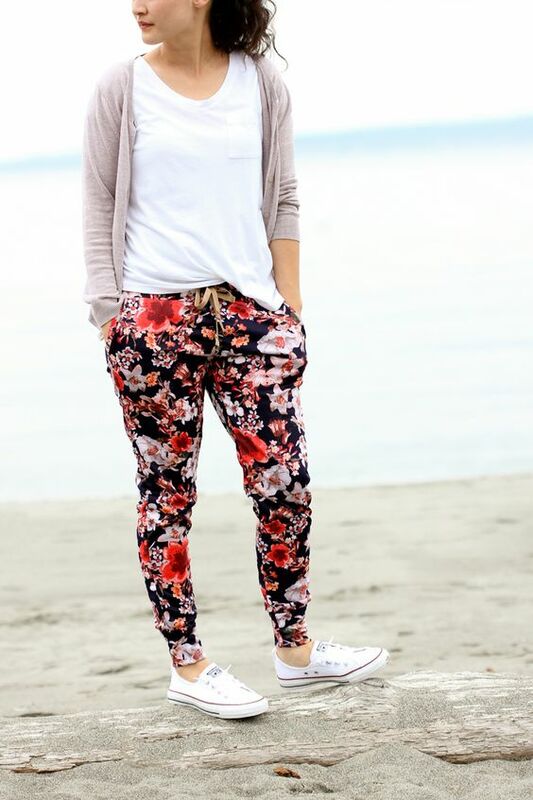 Floral prints will help you to embrace the season, and if you want a comfy look, floral pants are your choice. You can style them in different ways and create looks suitable for work, every day or even a date. Wanna know how to do it? Let’s have a look. 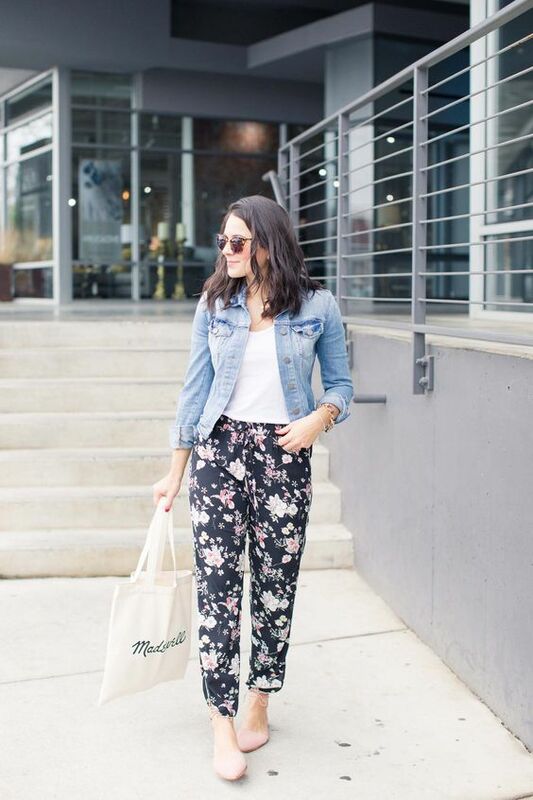 The easiest way to style floral pants is to pair them with a neutral tee. 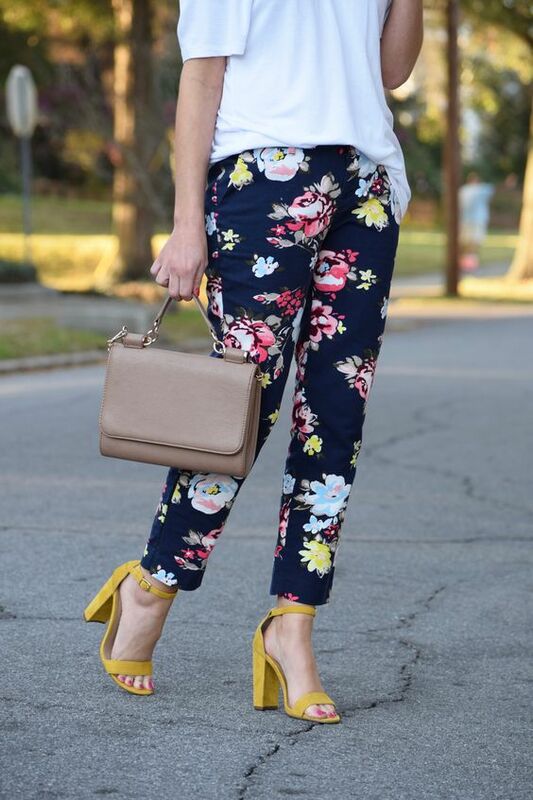 This is a cool relaxed look, and you can add some flats or comfy heels to complement it. 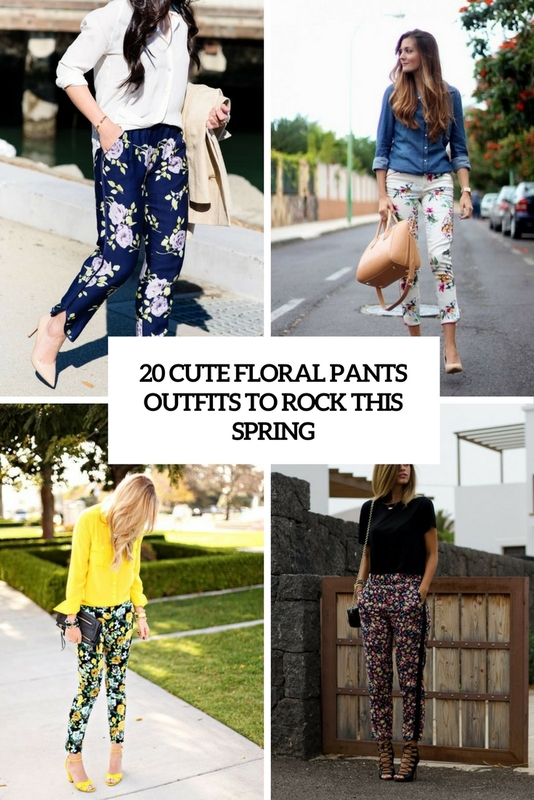 What you need to know is how to choose colors as floral pants are usually rather bold. Take a white, grey or black tee, which is always to the point, or choose one of the shades on your pants to match them in an ideal way. 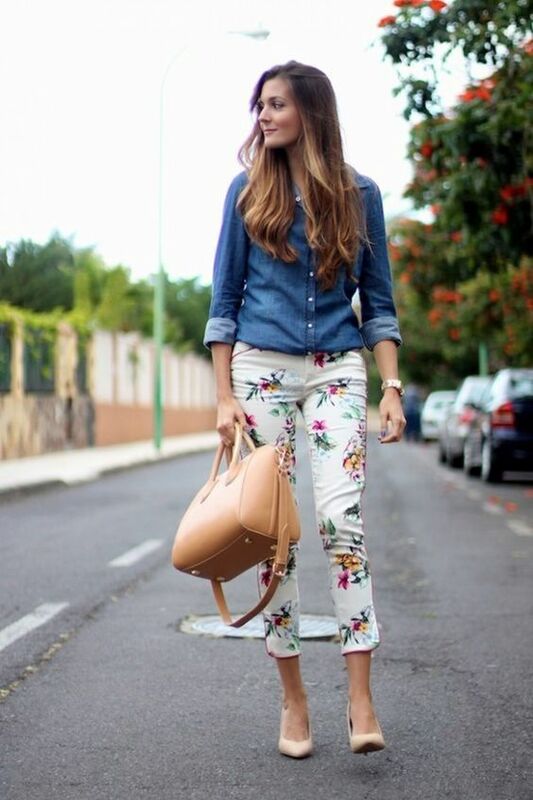 a denim jacket or a chambray shirt can be a nice addition if it’s chilly. Ready to be bold? 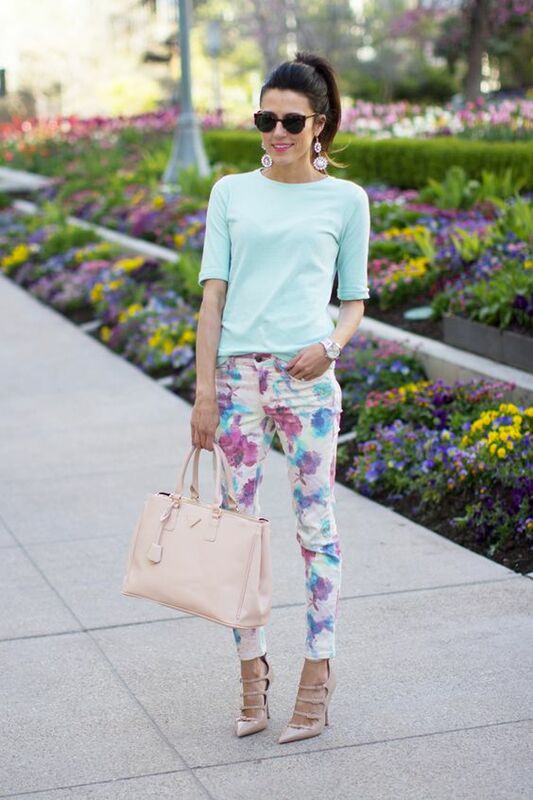 Rock florals on florals! 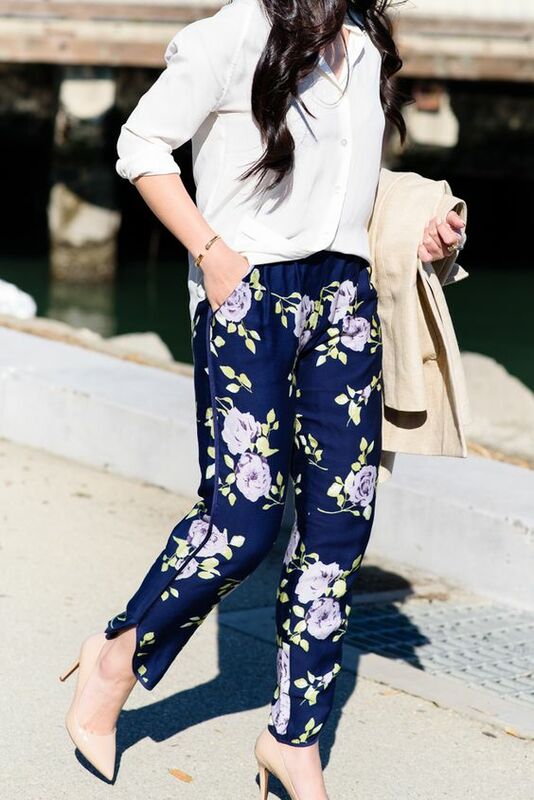 Choose a floral blouse and floral pants to rock together! 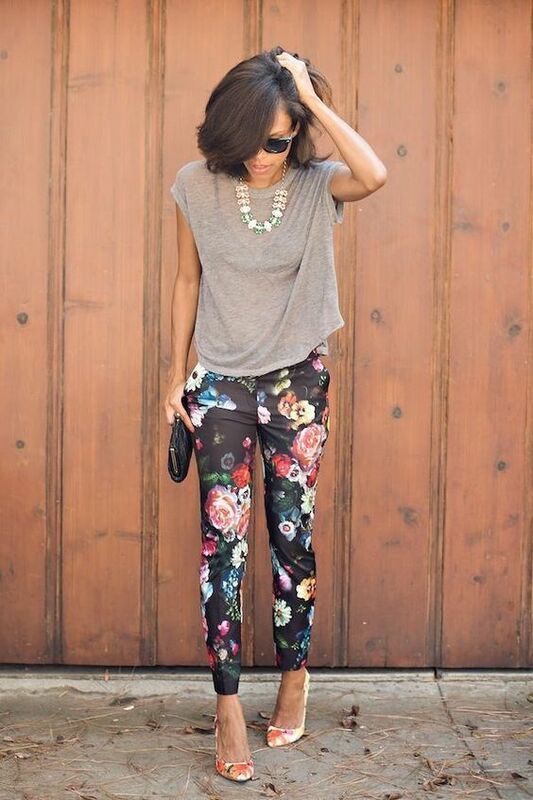 Another idea is to wear a plain shirt and floral pants and shoes. 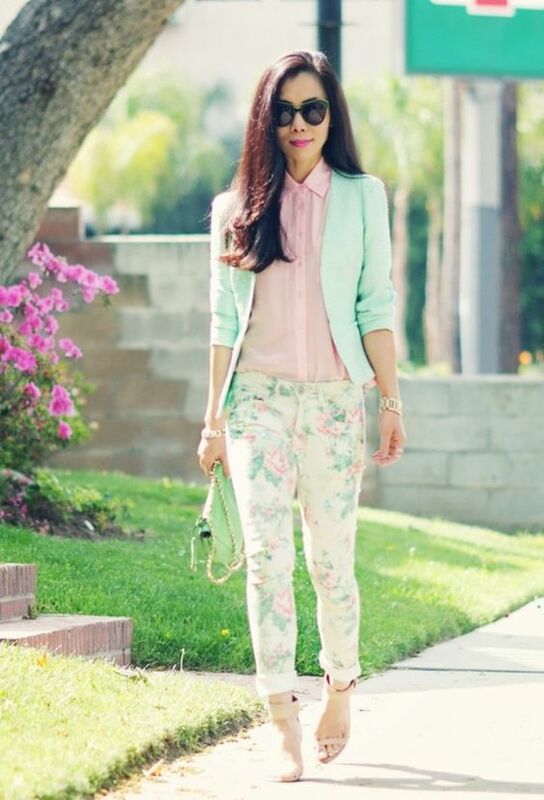 You can try a bold shirt according to the shades of your pants and find a matching pair of shoes for a colorful outfit. Retro looks are welcome! 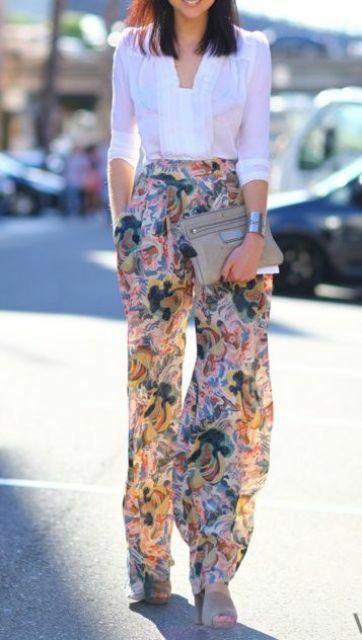 Choose retro-inspired floral pants and a vintage blouse with ruffles, be super feminine.